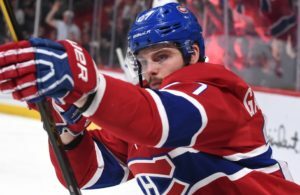 Is Galchenyuk bound for New York? Is Shipachyov destined for the AHL or the KHL? With only the weekend to go before the trade deadline, we look at the latest trade rumors circling in the NHL. 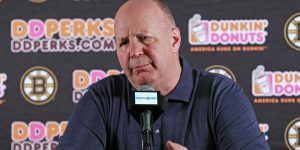 In an interview published in the LA Times, Ducks general manager Bob Murray did confirm he was looking for a right winger and plan on acquiring one. He stated the price must make sense. 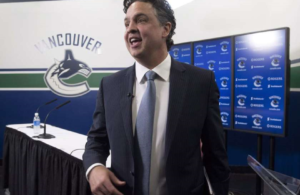 The Ducks GM siad that he is not the type to unload first round pick and that it is not in his nature. Murray admitted he was looking at certain players that could make a difference. 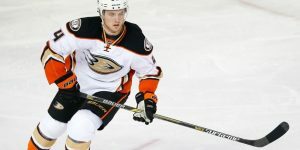 The Ducks have been linked to Montreal forward, Dale Weise, Buffalo Sabres Tyler McGinn, Boston Bruins Loui Eriksson, Vancouver Canucks Jannik Hansen and Radim Vrbata as well as Mikkel Boedker in Arizona. Murray has approximately $7.5M, in cap space for the end of this season. Anaheim who has their own internal cap may be grabbing an opportunity to sign a player like Boedker or Vrbata. According to ESPN, the Coyotes have enough space under their cap to absorb a portion of Mikkel Boedker salary should it be needed. This may help a team like the Ducks who are looking at Boedker. With regards to Justin Schultz, the Los Angeles Kings are also interested. 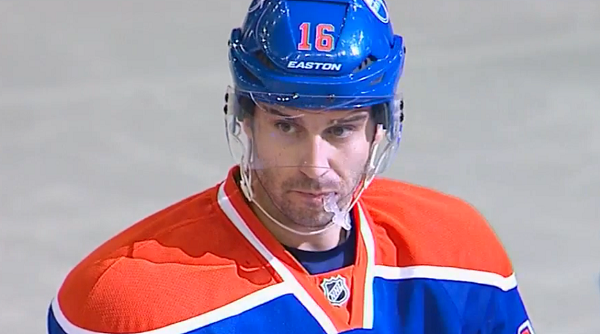 It is believed Edmonton would need to absorb part of Schultz $3.9M salary. 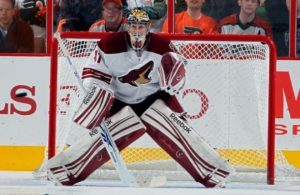 The Boston Bruins are also believed to be interested. LAK one of a few teams with interest in Purcell. Kings also have had some interest in Justin Schultz but making $ work would be a challenge. Apparently the Bruins and Loui Eriksson are still trying to make deal prior to Monday’s trade deadline. Eriksson’s demand is a contract in the 6M range for six years and for the Boston Bruins, it may be too much. It is rumored both sides will try to work at it. Boston would like to keep Eriksson and for Boston who’s in the playoff, resigning Eriksson may limit their buying powers leading into Monday. The Boston bruins would like to add a defenceman and they have been scouting Justin Schultz with the Oilers. The Penguins are not rumored to make a big splash by Monday. They are looking for a 3rd line forward and they were heard to be on Dale Weise from the Canadiens. Today they have resigned defenseman Olli Maatta. 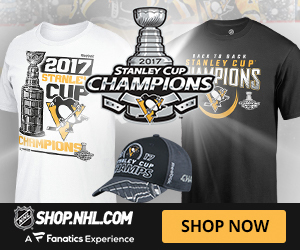 Maatta’s extension includes a limited NTC the last two years. He will get the chance to pick 8 teams he can’t be traded to. The Montreal Canadiens have lost one trade chip when Tom Gilbert was terminated due to a knee injury and went successfully knee surgery Wednesday. Two unrestricted free agent remains with the team: Dale Weise who apparently will play on Saturday against the Leafs and the other being Tomas Fleischmann. Weise declared this week, he’d like to stay in Montreal and he loves the organization. 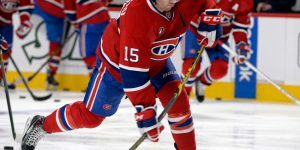 Weise could possibly bring a 2nd round draft return to general manager Marc Bergevin. 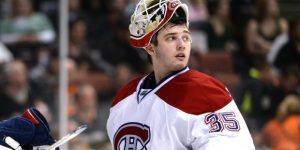 According to some NHL executives in the Western Conference, Bergevin is asking for a 2nd round draft pick and a third round draft pick or a second round draft pick and a prospect. Rumors yesterday came out that possible contract talks were underway between Weise and the Canadiens but nothing is firm. Last night General Manager Marc Bergevin, along with Assistant General Manager Larry Carriere, V-P of Hockey Operations Rich Dudley and Director of Professional Scouting professional scout Vaughn Karpan attended the Los Angeles Kings and Edmonton Oilers game in LA. The Carolina are still in it but for how long. They lost last night and their playoffs hopes are diminishing. Eric Staal declared he would like to stay with the Hurricanes so that could take him him out of the rental pool. But as they say, you never know and a last minute change can happen. 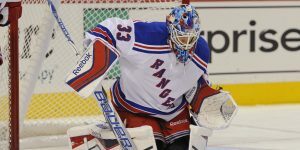 Staal was rumored to be a target for the New York Rangers. The LA Kings also had interest in Staal but after the cost of Andrew Ladd last night, it is almost confirmed, Hurricanes general manager Ron Francis will definitely seek a first round choice in 2016 and a prospect. No update on the Jonathan Drouin but Steve Yzerman declared this week, he wants to trade Drouin by the trade deadline. Drouin has become Yzerman’s short term priority and has a line up of ten to fifteen players lining up for his services. Yzerman is looking for a defenceman in the top two or four in exchange Drouin. There are rumors Drouin could be part of a bigger deal where more players would be involved. Drouin has been linked with St-Louis and also the Colorado Avalnche and the Ottawa Senators. On another front Steve Yzerman has extended defenseman Braydon Coburn to a three year extension. Coburn, 30, has played in 60 games with the Lightning this season, recording one goal and nine points to go along with 45 penalty minutes. He ranks tied for fourth on the club for plus/minus with a plus-8 rating. Coburn ranks third on the club for both hits (90) and blocked shots (69). Since being acquired from the Philadelphia Flyers in a trade last season, Coburn has skated in 64 regular season games with the Lightning, posting a goal and 11 points. $3.7M AAV on Coburn’s three year extension in TB. 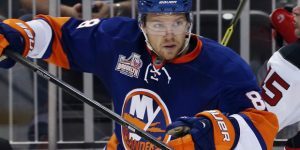 It is believed Coburn will benefit from a full no-trade-clause starting immediately and for the first two year falling to a limited NTC. Now what! For the Rangers and Ducks! Who will be the 1st pick at the NHL Entry Draft? Are Ladd and Byfuglien available?